When a person has a car in their possession they sign up for the responsibilities that come along with it. These responsibilities include getting it detailed, doing your routine oil change, tire rotations, etc. However, what many fail to forget is that a responsibility you have with your car is to make sure that you take precautions to avoid car theft. 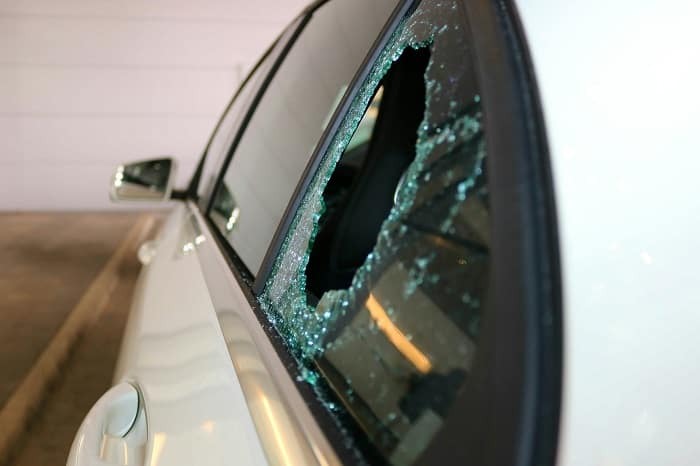 It’s tough having to deal with a broken window and getting valuables stolen, this is why here at Toyota of Clermont we have suggestions with what you could do in order to keep your ride safe and avoid car theft. Always lock your car: This is a pretty obvious task to do but there are many people that still don’t do it. Theft could happen anywhere at any time, so if someone notices that your car is unlocked; it puts your car in a vulnerable state, therefore the chances of your possessions being stolen will increase in the Clermont area. Store valuables where they cannot be seen: This is another obvious task, but people tend to be too trusting and leave their phones, wallets, or shopping bags in a visible spot in the car. Doing this is just asking for car theft. It becomes a two-for-one deal with the broken window from the thief’s work in attaining your phone. Watch where you park: When parking in a public place in Clermont, always make sure to consider how well-lit the area is. If it’s bright enough, it may be a theft propeller. Besides checking for light, also make sure you are parked in a high trafficked area. The more possibility of witnesses, the less likely your car will be affected by any theft activity. Don’t leave car on when it’s unattended: Leaving your car on while unattended is not a good idea. Nobody in Clermont would want to experience Grand Theft Auto video games by having their car stolen in real life. Keep Track of Keys: Having a spare key in a magnetic case on the underside of the wheel may be like a clever idea for someone at the moment, but expert thieves know what and where to look for it. The average Clermont resident may find this to be a convenient alternative to carrying their keys while running errands, but this only makes the thieves’ job easier. Consider the anti-theft system: Toyota of Clermont offers vehicles with an anti-theft system. Pretty much this feature will include an engine immobilizer and/or alarm. If your car does not have this feature, you may visit the Toyota of Clermont parts center to learn more about this feature and get it installed! We hope the tips mentioned will be of benefit to you. At Toyota of Clermont, our purpose is to make sure our customers gain insight in ways that will give their vehicle the best care possible. If you do have any further questions about anything Toyota, you may visit us at 16851 State Road 50.